WASP-6b was WASP-South’s third planet, announced in 2009 by Gillon et al. It is a good target for studying exoplanet atmospheres since it is a bloated planet, only half a Jupiter mass but 20% larger than Jupiter. 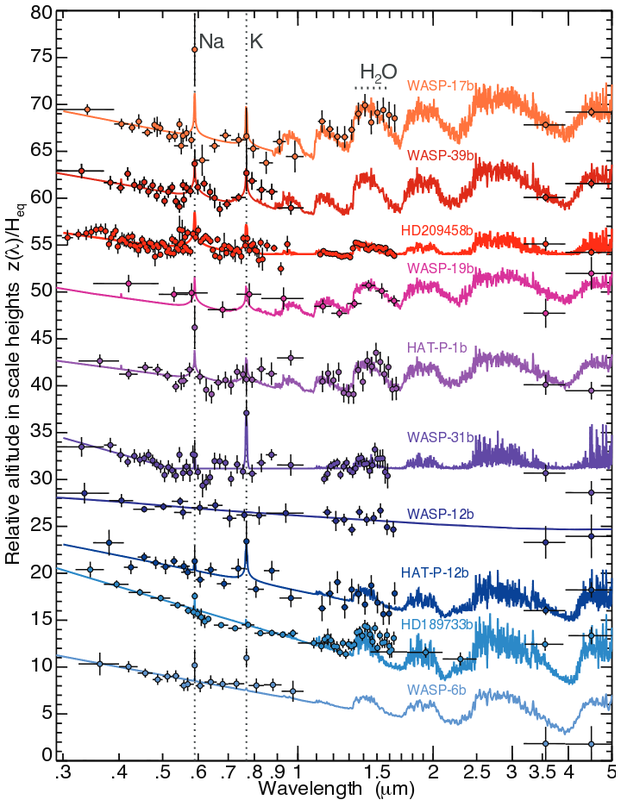 Nikolov et al (2014) have now pointed the Hubble Space Telescope at WASP-6b in transit, using the STIS spectrograph. They find that the transit depth varies with colour; effectively the planet looks slightly larger in blue light, since small particles in the planet’s atmosphere are scattering blue light more than red light. The strong blue slope in the plot is characteristic of Rayleigh scattering, the same effect that causes Earth’s atmosphere to look blue (in the plot the red line is a Rayleigh-scattering model, though other model fits are possible). 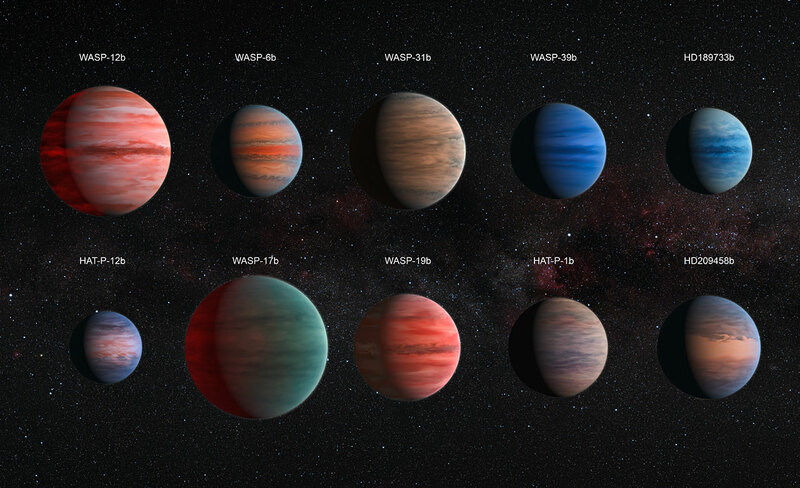 The field of exoplanet atmospheres is growing rapidly in importance, and it is good to see WASP planets being chosen as prime targets for such work. This entry was posted in exoplanet atmospheres, Hubble Space Telescope, WASP planets and tagged WASP-6b on November 18, 2014 by waspplanets.